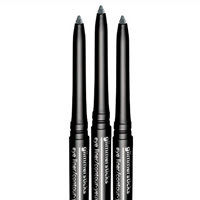 I think I've spoken about using Avon glimmersticks eyeliner before. It's the best! I've been using it for a few years now & this stuff doesn't budge. I love it! I recently ordered from Avon & I stocked up on more of these. This is a fun new product. My cousins got me a similar one from Victoria's Secret last year, but I haven't been able to find it again. I think they stopped making it. 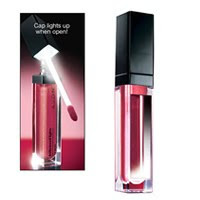 Now Avon has one called, Hollywood Lights Lip Gloss! Besides the little flashlight built in, it's got a convenient mirror on the outside. Which is one of the reasons I love this product. I find I like the Avon version better because the lip gloss is thicker & moisturizes better. First of all, I love this stuff. But why is it so SMALL?! It's an itty bitty 3.5 ml! Aside from the size, I do love it. I like the subtle silver sparkles. I actually thought it would have a stronger cinnamon flavor. I love the tingle. I have sensitive skin & lips, but this didn't bother it at all. It does plump slightly, but I love the clear glossy shine to it best. Sometimes I layer this over my lip gloss. Ooooh! You have to see this color in person to love it. 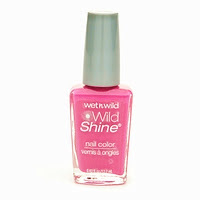 It's a gorgeous hot pink with a slightly purple tone to it. I can't explain it. But it looks great on toes in the summer! And I'm always a girl that either has pink or red on her toes when wearing sandals. It stays on pretty good and doesn't chip easily. Plus you can't beat the price, it's less than two dollars! This is a hard product to find! All the drugstores near me used to carry it & now they don't anymore. I was lucky enough to find them for $3 each at Five Below recently and believe me I stocked up! I love this product. It's a small compact with a built in mirror. And the powder is great at controlling oil. 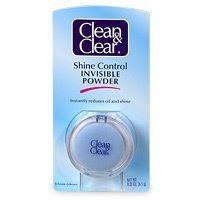 The powder may look blue in the compact, but actually it evens out your skin tone & reduces redness. I usually use a makeup brush & apply it after my foundation & powder, as sort of a finishing powder. You can also use it throughout the day whenever your skin gets shiny. I just started using this about a month ago. It's incredible! My skin feels super soft & smooth 2 days after using this product! I couldn't believe it. Plus it's got a really nice vanilla scent to it. I've used it for shaving & I've even used it on my hair. It's gentle on sensitive skin with oatmeal & aloe. Plus for less than $5 it comes in a huge bottle! For awhile I was growing out my hair & it changed texture slightly. It became frizzy & even dry. I don't know why. Besides my shampoo I use, I decided to try this product because alot of conditioners & products leave my straight fine hair looking oily. 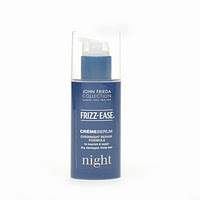 I like that I can put this in my hair at night time when I go to sleep. You do have to wash it out in the morning, but it leaves your hair soft, smooth & moisturized and controls frizz. Love it! Back to basics. For awhile I was using all Clinque products on my face. But because of the cost, I've switched up my facial products lately. I used to use Noxzema alot when I was a teenager. I love the smell. It smells nostalgic to me. I guess because I remember my grandmother using it when I was a kid. This still takes makeup off quickly and leaves my skin feeling clean & refreshed! I've used this lotion for about 2-3 years now. I usually use it on my face. It's got a great fruity scent & little exfoliating beads of jojoba oil that moisturize the skin. I've found it evens out skin tone & fades redness when you've been using it awhile. 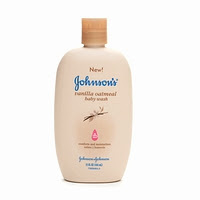 I was using Jergens Naturals Lotion: Soothe on my face for awhile, but now I've switched back to this. 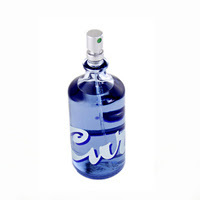 Besides my signature scent PINK, I also use Curve. I just love the scent. It's light and refreshing without being too flowery. To see the first Bath & Body blog I did a few months ago: CLICK HERE!